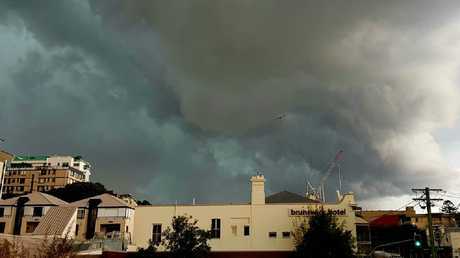 Severe thunderstorms have swept through Brisbane this afternoon, bringing heavy rain and causing chaos on Brisbane roads, with several crashes causing big delays. 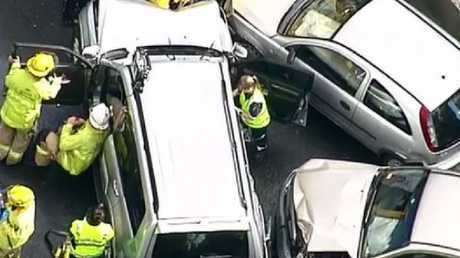 Emergency services are at the scene of a massive pile-up in Brisbane's west, with an accident involving a bus and twenty cars. Emergency services responded to the crash at the Sinnamon Rd off-ramp at 2.14pm. 27 people have been involved in the incident with five reported physical injuries. Two patients have sustained neck and back injuries but are in a stable condition. Paramedics are still on scene and treating it as a multi-casualty incident. The motorway has been closed while vehicles and wreckage is cleared. Motorists are asked to be patient and travel with care. 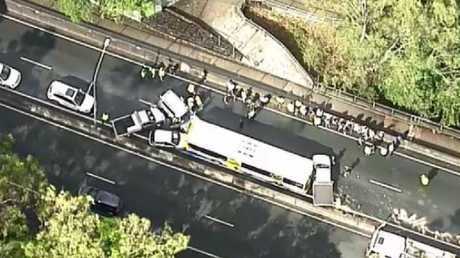 Delays had stretched from Mt Coot-tha to Darra in the city's west. Another accident on the Pacific Motorway at Woolloongabba also caused delays. 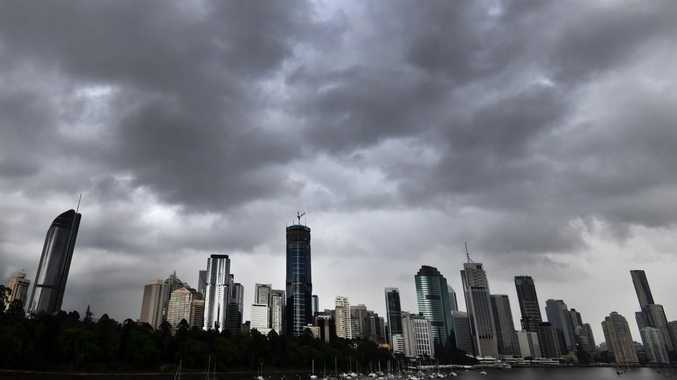 Queensland Police have warned of power outages on Brisbane's northside, with traffic lights out of action at many intersections. Translink has said trains on the Caboolture, Sunshine Coast and Peninsula lines have been delayed up to 30 minutes in both directions because of a technical fault. The Airport, Cleveland and Doomben lines are also affected. Flights in and out of Brisbane were delayed due to the weather, but services have since resumed. 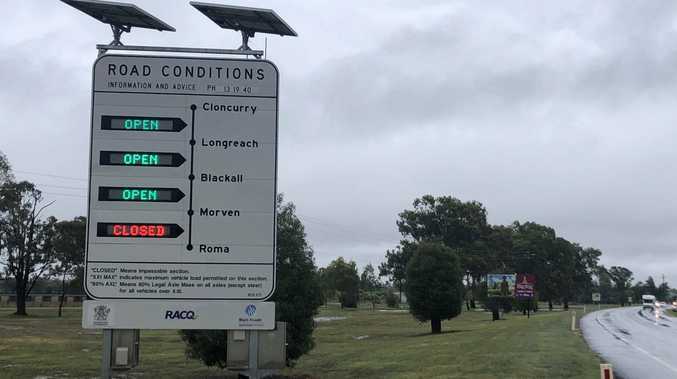 A Brisbane Airport spokeswoman said "flights were suspended while the storm cell was over the airport, but as lightning has now cleared, flights have resumed." It is believed there may be a slight delay to flights departing Brisbane as the backlog of flights catches up, however flights are predicted to be back on schedule shortly. 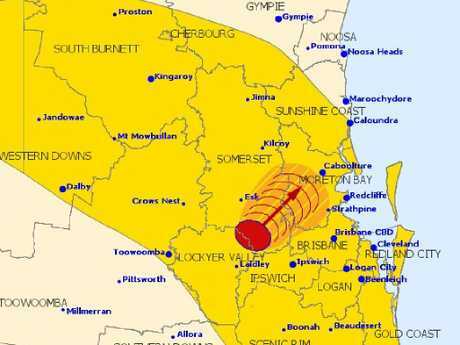 The Bureau of Meteorology issued another severe thunderstorm warnings for southeast Queensland earlier this afternoon. The most recent warning, issued at 3.05pm, warns of damaging winds, heavy rain and large hail for parts of the southeast, as well as the Wide Bay and Burnett. 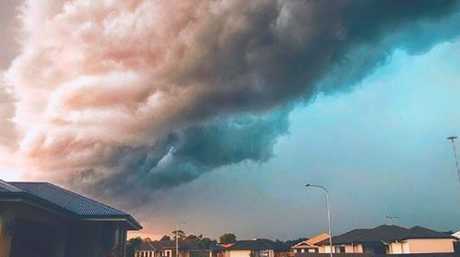 The Bureau says Severe thunderstorms are likely to produce damaging winds, heavy rainfall that may lead to flash flooding and large hailstones in the warning area over the next several hours. 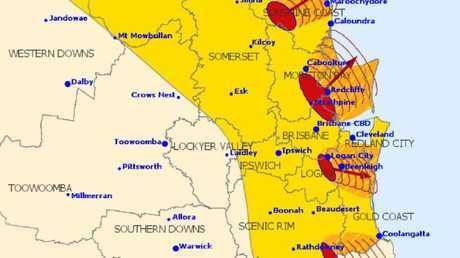 Locations which may be affected include Gold Coast, Brisbane, Maroochydore, Gympie, Kingaroy, Caboolture, Cleveland and Jimboomba. * Secure loose outdoor items. * Seek shelter, preferably indoors and never under trees. * Avoid using the telephone during a thunderstorm. * Beware of fallen trees and powerlines. * For emergency assistance contact the SES on 132 500. Meanwhile, Tropical Cyclone Trevor continues to intensify as it moves towards the coast in Queensland's far north.